Pokémon of the Week: Bellsprout! 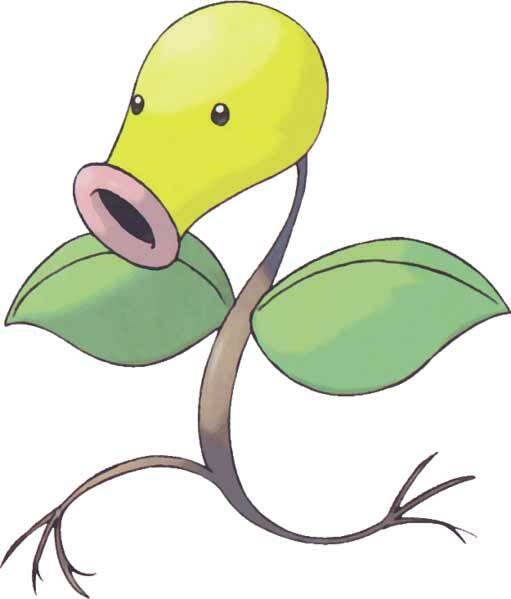 Bellsprout is dual-type Grass/Poison Pokémon. It evolves into Weepinbell starting at level 21, who evolves into Victreebel via Leaf Stone. Despite their small size, Bellsprout are versatile. Their stem is long, thin and very flexible, making then capable of swerving rapidly to avoid many attacks it is weak to or move with blinding speed to capture prey. They can use their roots to replenish moisture and health from the ground if they get hit. They can also channel their roots through the ground to trip foes. They can also use their feet as insulator.